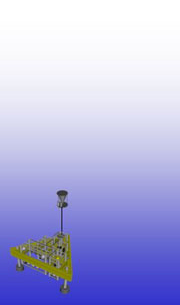 The DELOS system comprises two environmental monitoring platforms: one in the near-field (within 50 metres of a seafloor wellhead; DELOS A), and one in the far-field (ca. 16 km from sea floor infrastructure; DELOS B). Each platform comprises two parts: the sea floor docking station that was deployed on the seafloor at the start of the monitoring program and will remain for the 25 year project duration, and a number of observatory modules that are designed to perform specific environmental monitoring functions. Once deployed each observatory module has enough battery and storage capacity for 24 months of autonomous operation. Towards the end of the 2 year deployment period each platform requires ROV (Remotely Operated Vehicle) intervention to recover observatory modules to the surface for servicing, calibration and data offload. 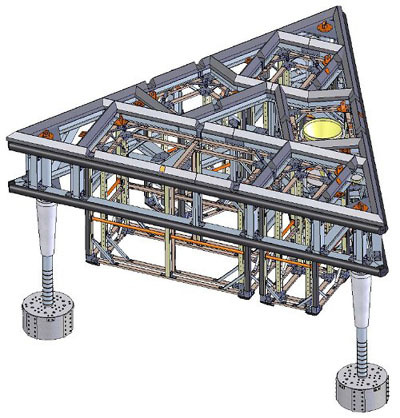 The seafloor docking stations were designed to be deployed at the start of the program and left on the seafloor for the 25 year project duration. 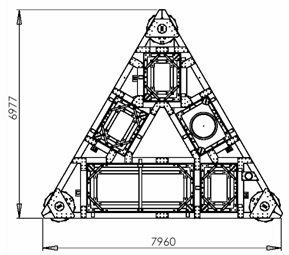 Each docking station consists of a robust triangular glass fibre construction designed to withstand long-term seafloor deployment and periodic service by ROV. Glass fibre is used to eliminate any corrosion effects which may influence seafloor biological processes. 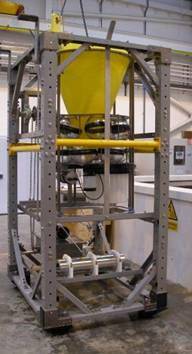 A major research project was conducted to determine the long term effects of glass fibre deep water immersion and the final design incorporated that research. 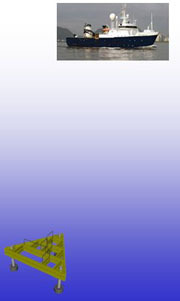 To minimise disturbance to seafloor animals from water current eddying effects around the structure the docking station is raised off the seafloor on legs. 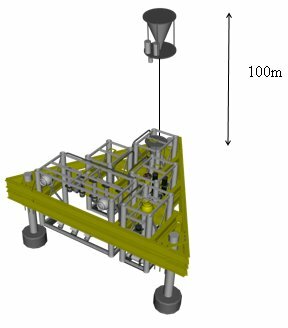 This design enables the observatory modules to sample both the water column above the docking station as well as seafloor processes below it. 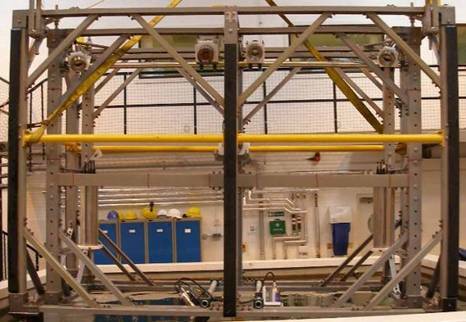 Each observatory module contains a suite of related instrumentation housed within either a standard size or over-size observatory module frame. For ease of data offload and instrument programming a controller is also situated within each frame. The controller deals with different interface issues for each of the sensors and instruments enabling a standard interface to be presented to the user. It also stores a copy of the data collected by each sensor in a central location. The modules operate independently and the controllers allow different sampling regimes according to the type of instrumentation. 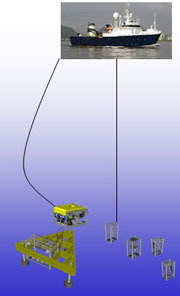 Observatory modules are designed to be placed into the seafloor docking module by ROV. Each module has sufficient battery and memory capacity to operate for a maximum of 24 months. 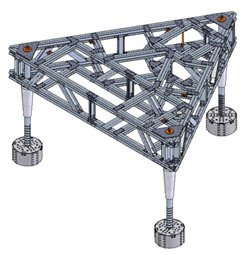 All instrumentation including batteries and memory are confined within the dimensions of the standard observatory module frame designs. 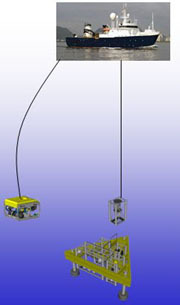 The camera modules contain two camera systems, a close-view and wide-view camera system. The close-view camera takes time-lapse photographs of the seafloor and associated fauna. In a relatively unstudied area, such as the Angolan continental slope, it is vital that we obtain good quality, high-resolution images of the indigenous fauna. The close-view stills camera images a comparatively small area at a high resolution. The high-quality images have considerable public outreach potential. The concept is based on the "Bathysnap" system operated by the UK's National Oceanography Centre for over 35 years, an instrument key in the discovery of seasonality in the deep sea. 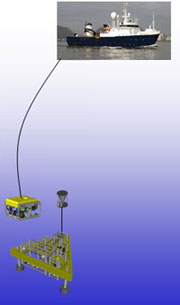 The wide-view camera takes time-lapse photographs of a large area of the seafloor. These observations enable a visualisation of seasonal seafloor sedimentation processes, passing animals and disturbance events over a large 20 m2 area. This scale of observation is essential to categorise any patterns of long-term change in the benthic environment over the 25 year life span of the project. 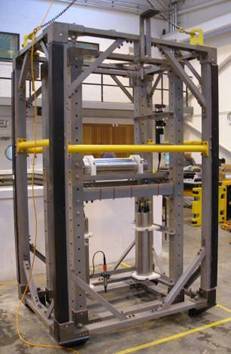 This imaging set up has been used to excellent effect in the deep Pacific Ocean, by Dr. Ken Smith of Scripps, USA, and is proven technology. The synergy between the close view camera and the wide view camera allows us to assess large scale and long-term patterns of diversity and community change. 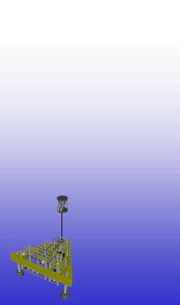 A suite of oceanographic instruments is essential for any long term monitoring station. They provide background measurements to fully characterise the environment for all other observation modules in the docking station. Passive and active acoustics. A passive bioacoustic sensor monitors the natural sounds generated by animals within its detection range, as well as the background noise level. This system allows passing vocalising cetaceans to be identified (from characteristic sound spectra) and counted. High frequency active sonar systems enable fish movements to be observed at a lower resolution but at much greater range than photographic systems. This module contains an active sonar system to record movements of fish with suitable target strength to ranges of up to 150 m from the DELOS platform. In conjunction with the passive acoustic module, that records (amongst other things) background noise level, fish reaction to acoustic disturbance events could be monitored. In some areas of the world's oceans, phytodetritus, remains from plankton in the surface layers, falls to the seafloor in seasonal pulses. This input of material can be the major source of energy for the deep-sea community. A sediment trap collecting and periodically storing this fallout enables the composition and quantity of this energy input to be measured. These data along with transmissometer and fluorometer results will build up a comprehensive picture of food input into this deep ocean site. There are three guest modules in total: two in the Near-field platform, and one in the Far-field platform. Guest modules are available for research projects. Currently we have applications from both the science community and BP to use some of these modules for new research. Every 2 years the observatory modules must be removed from the seafloor platform with ROV assistance and returned to the surface for data offload, instrument calibration, and battery replacement. The illustration below shows the procedure required to service DELOS B (far-field platform). The procedure for DELOS A is very similar. 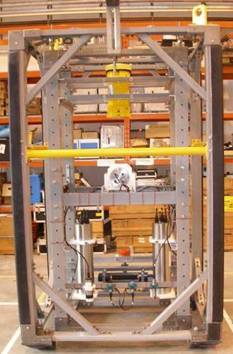 Seafloor platforms and Observatory module frames designed by 2H Offshore Ltd. from the original Oceanlab concept. 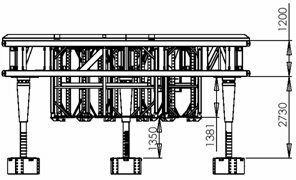 Glass fibre material and platform construction by Fibreforce Ltd.